It's amazing when the rain starts. "I can't remember the last time I couldn't open the doors and let the children enjoy the garden." And so this half-term holiday, as the rain called off play. We were fortunate to be able to reach for the Hama beads. 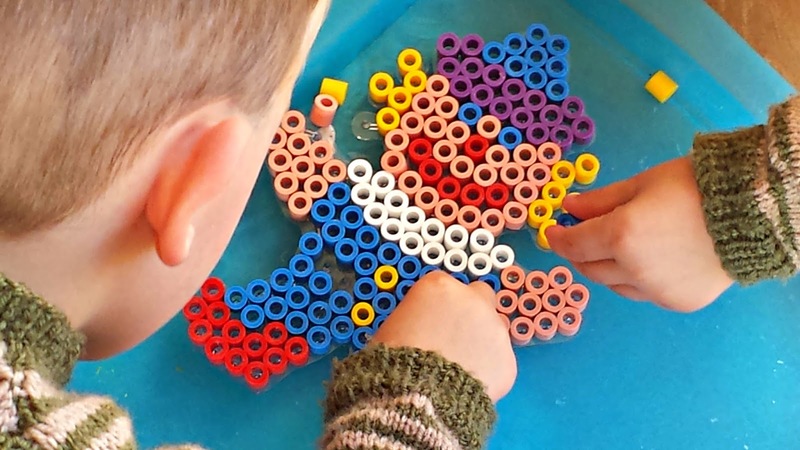 As the children worked together on their maxi bead kit. And it really was a sight to breathe in, Seb has always been so careful- always drawing within the lines- and Tom has always had those pincer movements where crafts are concerned- so it was wonderful, with their big sister's supervision to see their clown come together. And as Seren had time to focus on her own skills, it was good to see her get to grips with following a pattern. And thanks to midi hama beads, we introduced even more pets to the family! 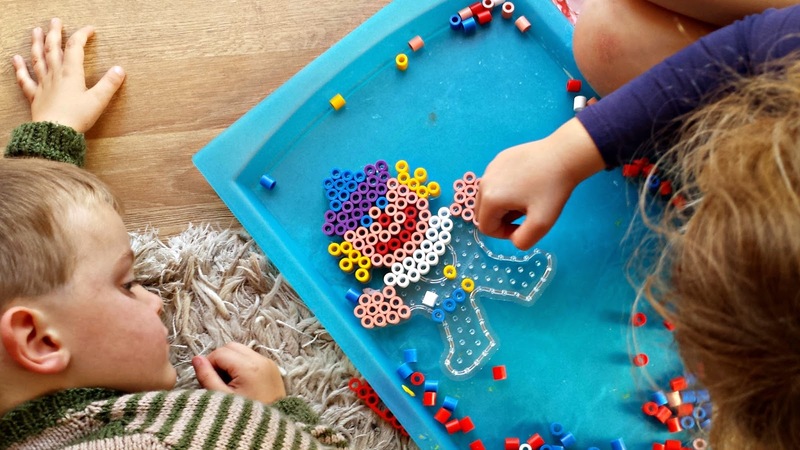 And so, of course, with Autumn truly set in, and Winter at our door, crafting with hama beads is definitely a favoured activity for our little people. Disclosure: We received two design kits from Craft Merrily for the purposes of this review. All opinions and views contained are our own.